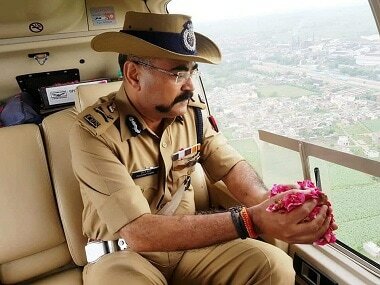 A day after a video showed a group of Kanwariyas vandalising a car in Delhi, the Additional Director General of Uttar Pradesh police (Meerut zone) showered rose petals on the yatris from a helicopter. In a video, Prashant Kumar was seen taking bunch of petals and showering it from the helicopter. Incidentally, chief minister Yogi Adityanath was seen doing the same earlier this month. ANI reported that along with ADGP Kumar, Meerut Commissioner Anita Meshram and other senior officials also threw rose petals on the yatra. Times Now reported that Kumar was sitting inside the helicopter for the surveillance of the deployment of troops there on Kanwariya yatris. In the visuals, the policeman along with others on the helicopter can be seen showering them with 'blessings' while on surveillance duty. 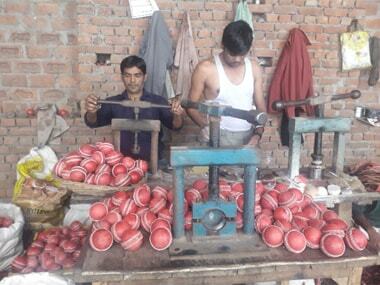 He directed Baghpat district magistrate Rishirendra Kumar to supervise arrangements for the three-day Kanwar fair in Pura Mahadev Temple in Baghpat where lakhs of devotees will offer holy Ganga water to the deity, according to a report by The Indian Express. “We have divided the sprawling campus of the temple to six zones and 12 sectors to ensure that devotees don’t face any hassle. A constant vigil is being maintained through the CCTV, while each sector is headed by a magistrate. We have deployed the PAC, the Rapid Action Force (RAF), Special Task Force(STF) and the area police to ensure peace during the three-day fare which marks culmination of the Kanwar Yatra,” said Rishirendra. The video that surfaced sparked controversy and was shared by many on Twitter as many accused the policemen of deviating from their duty. According to The Indian Express, the Uttar Pradesh government has gone out of its way for the Kanwariyas. Apart from the chief minister and the top police officers showering flowers on them, DJ music was arranged for the yatris. "DJ bajwa diye Yogi ne, Bhole nachwa diye Yogi ne (Yogi switched on DJ, Yogi made the devotees dance)." The DJs took a dig at the previous government which had banned loud music during the pilgrimage. 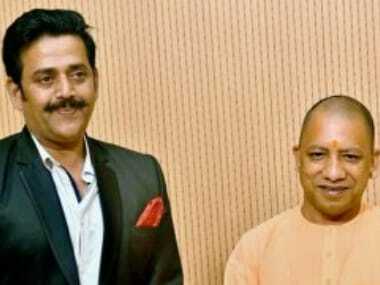 "Akhilesh ne hukum sunaya tha, DJ per ban lagaya tha, 2017 ke chunav me Bhole ne usey haraya tha. 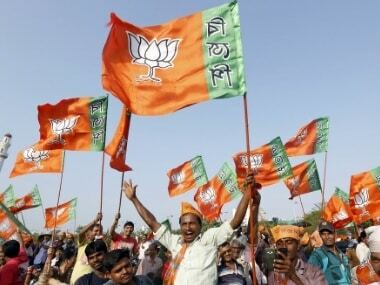 Chakke chuda diye Yogi ne. (Akhilesh had announced their order, DJs were banned; And in 2017 Lord Shiva ensured his defeat; Yogi has cut him to size)." A group of Kanwariyas on Tuesday, vandalised a car in Delhi's Moti Nagar after it brushed past them. A video which surfaced online shows a dozen men smashing the windows of the car with sticks and then tipping the car over. Policemen and spectators are seen watching them in silence. A woman and her husband, who were the occupants of the car managed to step out before they got hurt. Eyewitnesses said the Kanwariyas were blocking the road almost completely, and the car touched the bag of a Kanwariya, leading to the altercation. The Delhi Traffic Police had recently sent out an advisory for the Kanwariyas who would be reaching cities across the country, according to News18. They also made preparations to manage the movement of Kanwariyas and regular commuters to ensure minimum inconvenience to the general public. The Kanwariyas undertake a pilgrimage from the first day of the Hindu month of Shravan, walking with pitchers of Ganga water all the way from Haridwar to their hometowns and villages where the pitchers are emptied at Shiva temples.